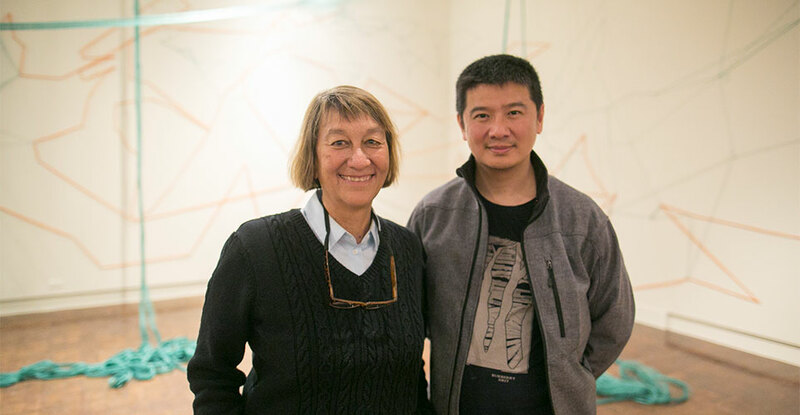 Bio: Hongtao Zhou is an assistant professor of the School of Architecture at the University of Hawai‘i at Mānoa. As an interdisciplinary scholar and artist, he researches, practices and teaches in the areas of Architecture Design, Exhibition Design, Furniture Design & Fabrication and Contemporary Sculpture & Installation. Hongtao holds a PhD from Purdue University, a MFA from University of Wisconsin-Madison and a MS from Northeast Forest University of China. Statement: I am an artist and designer working in the interdisciplinary areas of furniture design, sculpture installation and architecture. My work is becoming a process, a process of collision and fusion on the boundaries of different creative areas. I produce hybridized objects and concepts that consist of interactive furniture, architecture installation, sculpture and prints with sustainable elements, cultural references, and often humorous aspects. They respect the limitations imposed by function, aesthetics, material and technology as balanced solutions. By introducing these hybridized ideas, I want people to experience the excitement and entertainment of standing on the line of merging boundaries. I want to challenge people to think whether these boundaries should disappear or become even clearer in the future. I want people to reconsider their stand on their own identities as they experience these pieces.